Below are the shows we produced for our 94th Season (2013-14). 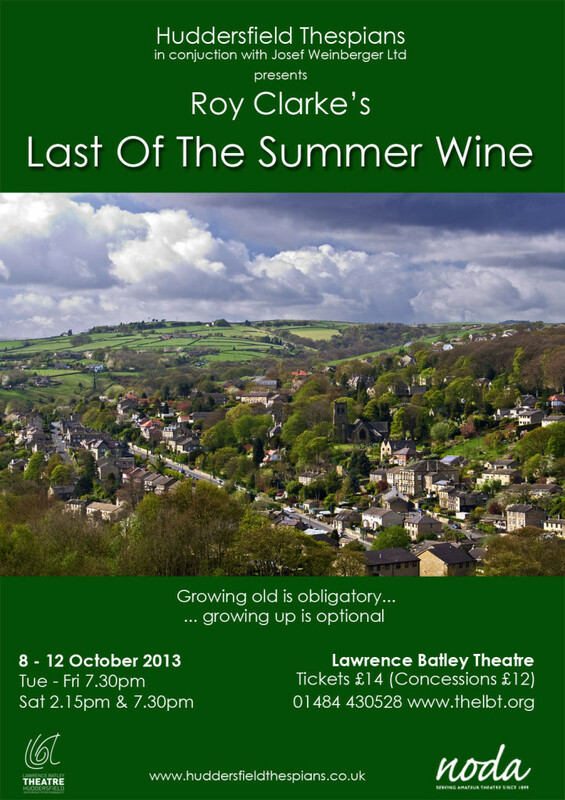 All plays were performed at the Lawrence Batley Theatre, Queen’s Square, Queen Street, Huddersfield HD1 2SP. This new stage adaptation of the timeless television series, sees Foggy, Clegg and Compo reunited for one last adventure. What ensues is an evening of havoc, mistaken identities and chaos as our heroes try not to be undone by the enveloping madness. In this modern day comedy, Elisabeth is a very successful estate agent with offices in London and Paris but she leads a double life. Monday to Wednesday the English half, Libby, lives in London with Roger, a perfect English gentleman. Thursday to Sunday she is Lisette and goes wild in Paris dancing and in bed with Pierre, a perfect, chauvinist Frenchman. For Elisabeth life is perfect, but can she keep all the balls in the air when the two men accidentally meet? 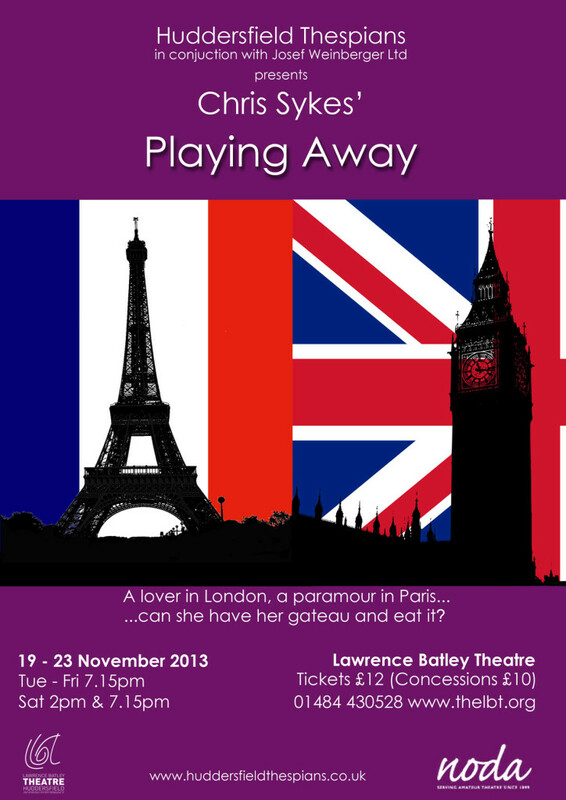 PLAYING AWAY is a fun play about stereotypes – French and English – what men want and what women want. Stephen Febble is cantankerous, misanthropic, miserable and world-weary, in short he’s crabby! All he wants is to be left alone, but, to his horror, his long-suffering wife Virginia fills the house with guests for the weekend and Stephen responds in his normal fashion – with whisky and sarcasm! A play with humour of many shades, from light to black, with a lot of laughter and lots to laugh at, but with a poignancy that gives the story much depth. 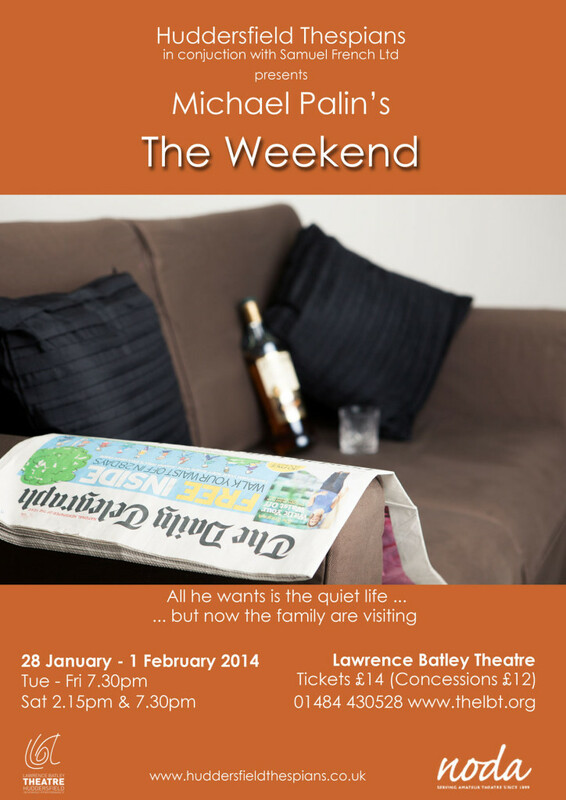 Indeed everything you’d expect, and more, from a play by ‘national treasure’ Michael Palin. Major Oscar Hadley, a Falklands veteran, is sent by the Army to Afghanistan’s combat-zone to investigate the death of an 8-year-old civilian boy and his mother at the hands of a group of British soldiers, nicknamed ‘the Bully Boys’. He interviews the prime suspect; pumped-up, aggressive young soldier Eddie Clark, a 20-year-old who signed up at 16. Eddie is immature and institutionalised, showing racist indifference to the dead locals he has been sent to protect, and fiercely defensive of his fellow ‘bully boys’ who the Major implies have blamed him for the death. 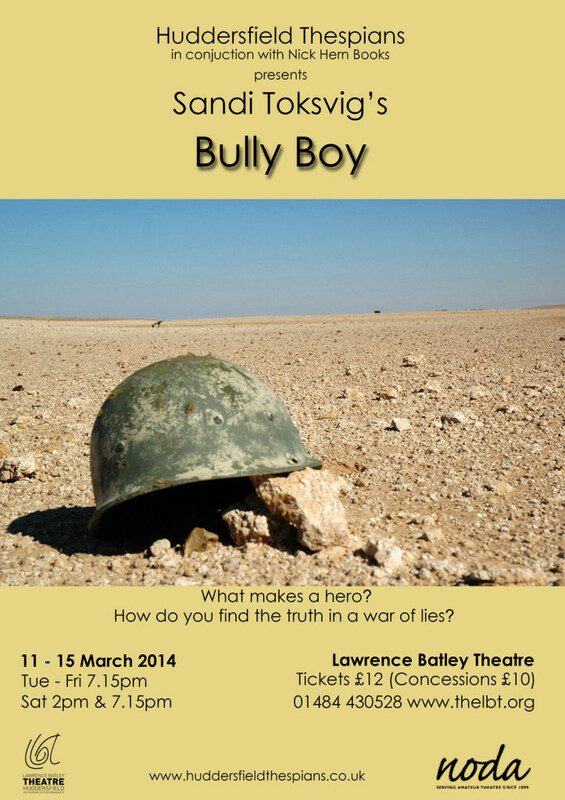 Bully Boy is both deeply moving and humourous as the initial questions make way for the extraordinary truth about war and its consequences. Cecily, Reggie and Wilfred are in a home for retired opera singers and each year, on 10 October, there is a concert to celebrate Verdi’s birthday. When Jean, who used to be married to Reggie, arrives at the home and disrupts their equilibrium – she still acts like a diva and refuses to sing! 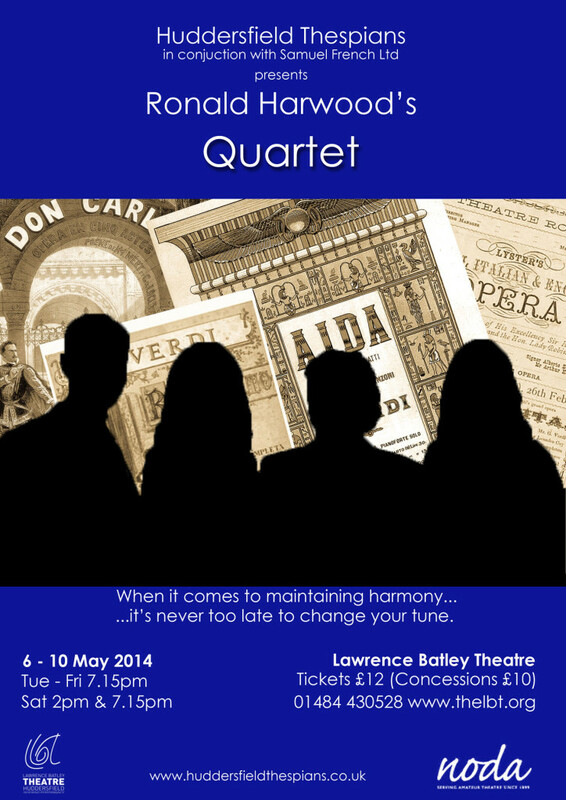 Ronald Harwood’s gentle witty and poignant Quartet has proved popular with audiences across the world since it was first performed in 1999. It will make you laugh a little, sigh a little and cry a little we share the bittersweet world of facing up to age and mortality.